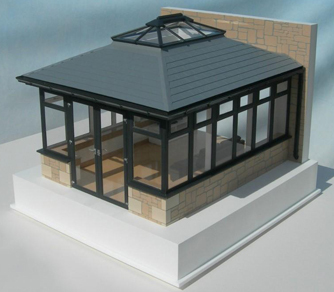 At larger scales such as 1:50, 1:20, 1:12, etc., we can produce highly detailed models that create a very realistic and impressive representation of your project. 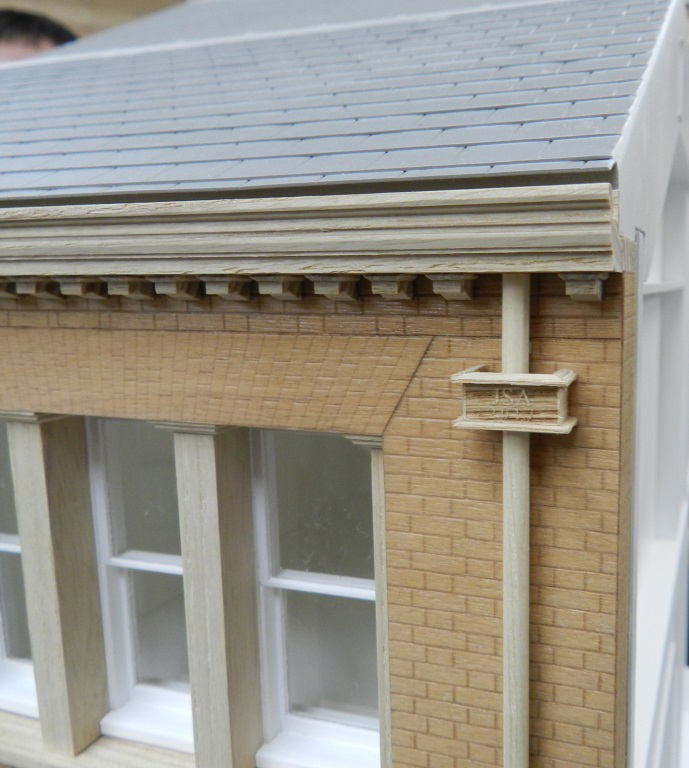 This high level of detail is particularly eye catching at exhibitions and trade shows and will often draw passers-by to your stand because they want to have a closer look at your model. 1:20 Scale Sectional Model of House Commissioned as a teaching aid, this cut-away model was designed to illustrate typical construction techniques in a standard domestic building. 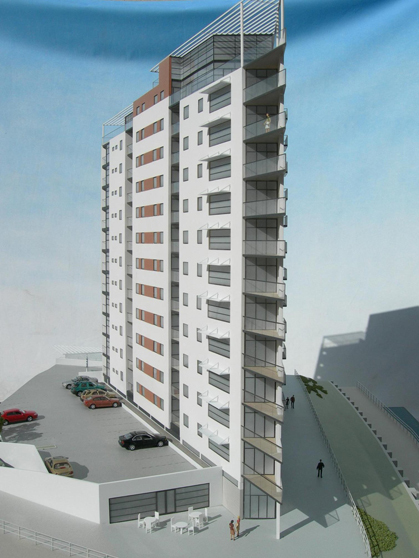 The client’s aim was that the model could be used instead of site visits to clarify some fairly basic methods of construction. 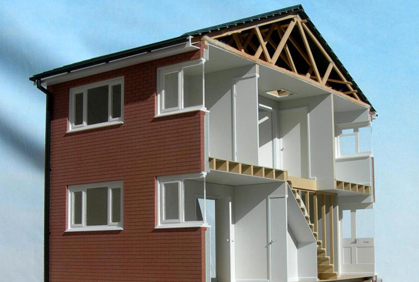 The model included details such as wall ties, staircase construction, and even roofing materials. 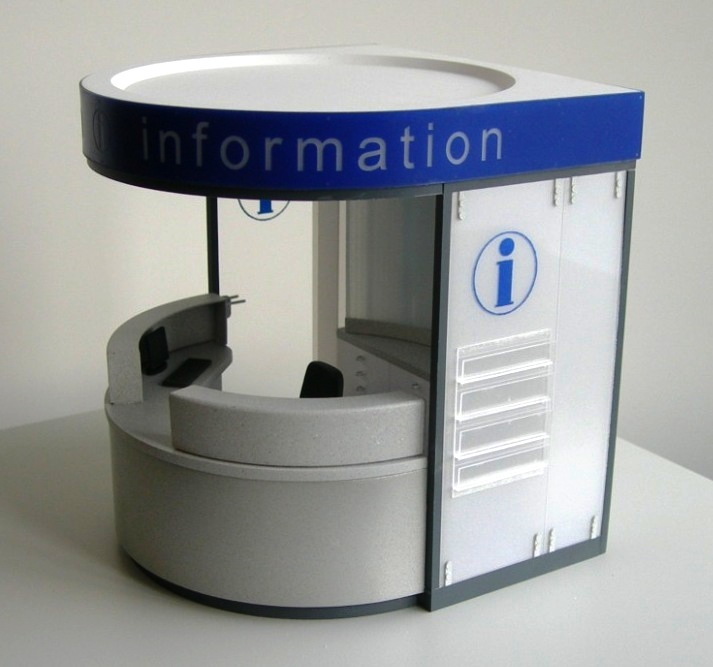 1:20 Scale Model of Information Point This model was used to help illustrate the proposed design of a new information booth. It had removable security screens and faithful representation of all the material finishes. Even the illumination was a scaled down representation of the proposed lighting system. 1:25 Scale Wooden Elevation Detail Making a finely detailed elevation from wood veneers is extremely difficult but we, and the client, were really pleased with how beautiful and crafted this model looked (click on the image to see the detail). 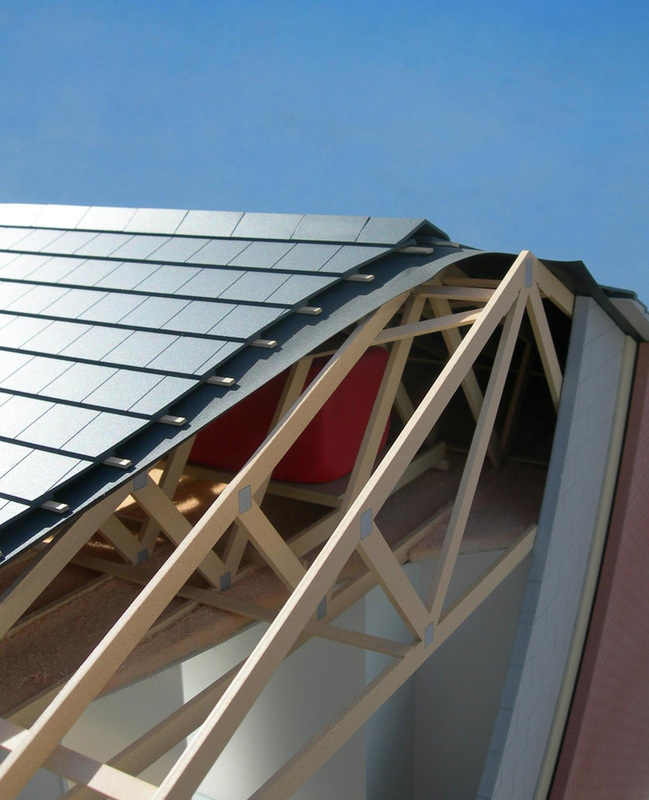 The client wanted it to stand out from conventional models and it did the job because it helped secure a favourable outcome in a competition bid. 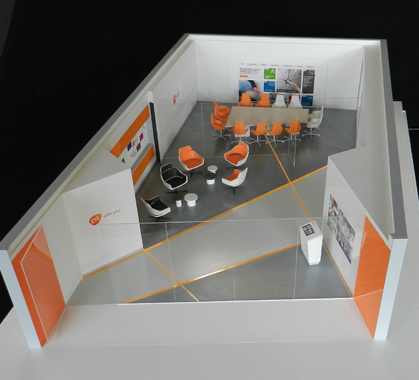 1:20 Scale Exhibition Space for GSK We’ve actually produced three models for GlaxoSmithKline projects although the others were smaller scale industrial plant models (see Industrial Models section). 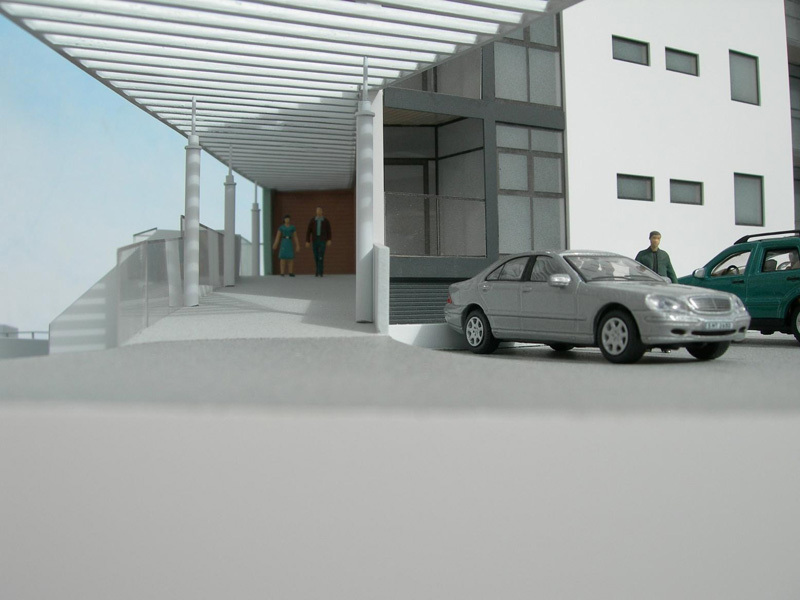 This model was commissioned to help them evaluate the proposed design for a hospitality suite at an exhibition event. The orange lines on the floor were illuminated via battery powered LEDs. 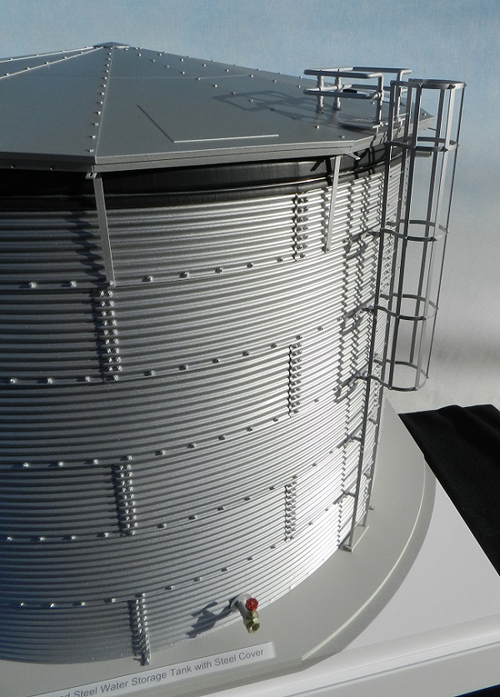 1:12 Scale Water tank Model The client for this project wanted a model that would be an eye catching centrepiece on their stand at several trade shows throughout the coming year. 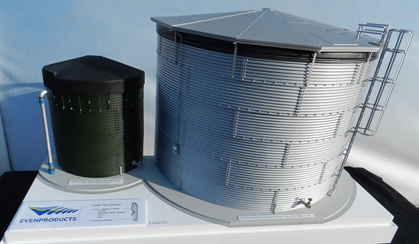 The company produces a wide range of water tanks for markets all over the world and they wanted the model to illustrate several technical details about their products, both inside and outside. For this reason we made the models as half tanks so the inside could be viewed as well as the exterior. We also provided a purpose-built flight case to protect it during shipping. 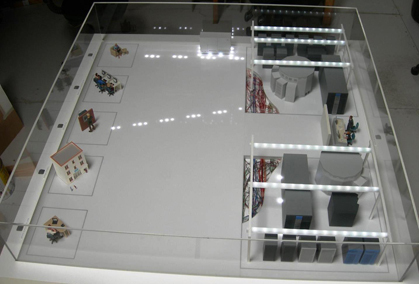 1:15 Scale Model for "Micromart" Demonstration This very detailed model (actually a set of separate models) was commissioned as a demonstration tool that could be safely transported and easily set up in potential customer’s premises. With portability in mind we designed the model as a set of individual units that could be packed into a specially tailored travel case. 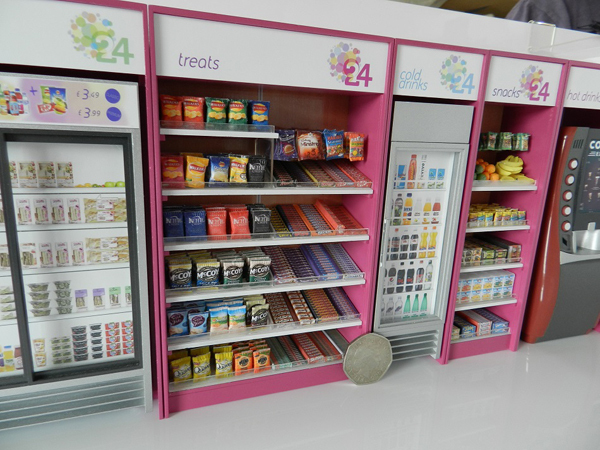 The units are only 140mm tall but are made with realistic detail so that their function is instantly recognisable. 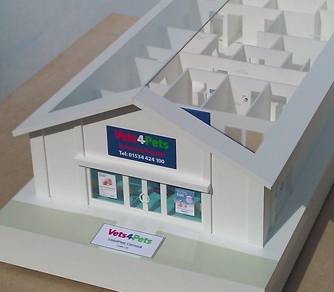 To complete the picture we also created a “flat-pack” room setting made from white acrylic panels. 1:50 Scale White Styled Street Scene At 1:50 scale you can see through the windows into the room spaces of these stylized house models and get a sense of the spacial organisation inside the buildings. 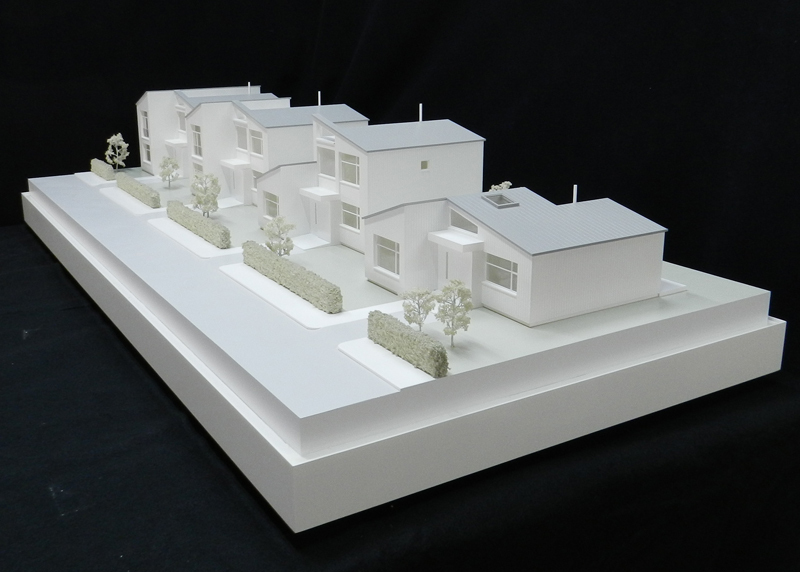 This model demonstrated the simple but elegant functionality of these proposed new house designs. The model was well received at the Ideal Homes show and we were subsequently asked to extend the “street scene” with two further houses from the luxury end of the range. 1:15 Scale Conservatory Sunroom Model Made for a company that specializes in high quality conservatories, this detailed model needed to reflect the product’s elegant design and high levels of finish (inside and out). 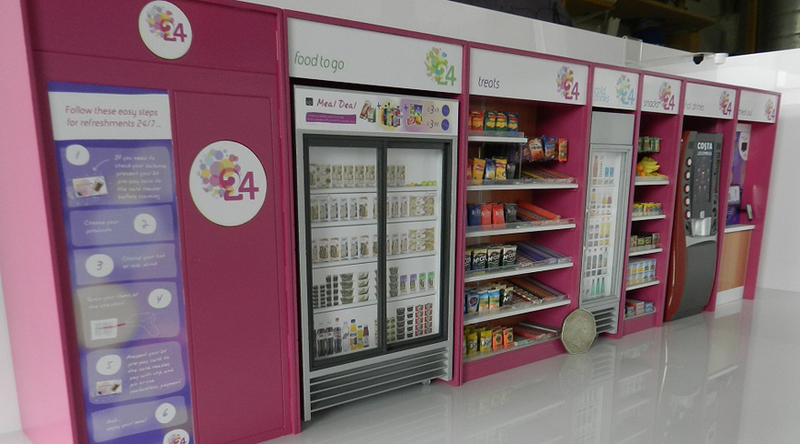 The model’s primary purpose was to act as an eye catching display at shows and exhibitions to help attract potential customers to the company’s stand. To give it a bit of extra “sparkle” we incorporated battery powered working interior lights. 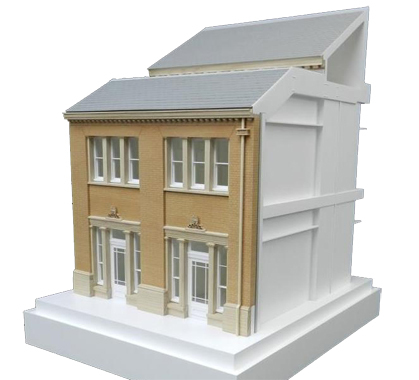 As a further complication, the model also had to be made strong enough to withstand conventional courier delivery to central Scotland where the company is based. 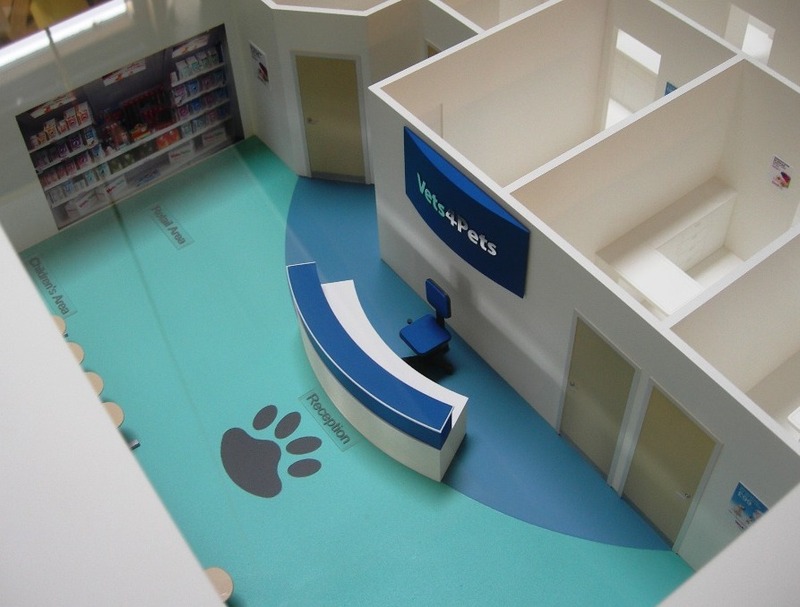 1:25 Scale Vets Practice The client for this project, a chain of vets, wanted a portable model that showed the typical internal layout of one of their newly built practices. We suggested this 1:25 scale stylized model because it offered plenty of recognizable internal detail but was easily transportable at only 800mm long. 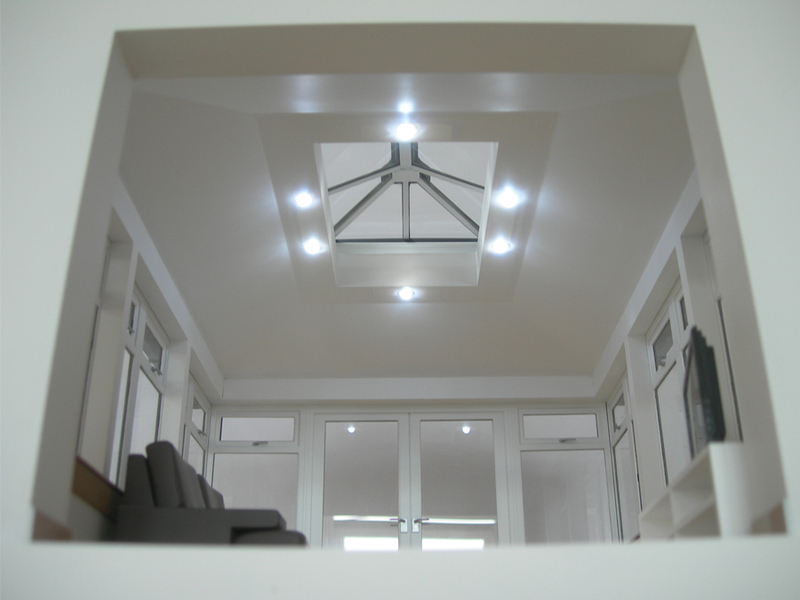 Rather than have a removable roof, we made the roof panels out of clear acrylic to allow easy viewing of the internal detail (this also keeps the dust out). Whilst it is predominantly a white stylized model, we added highlights of realistic colour to add extra visual interest. 1:25 Scale Portacabin Site Office At 1:25 scale, this was quite a large and detailed model of what, on the face of it, is an uninspiring subject. 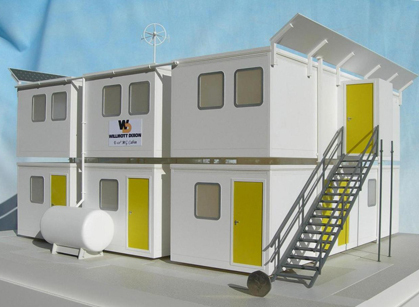 However the model was actually commissioned to illustrate a proposed "environmentally friendly" site office featuring solar panels, rainwater collection, and a wind turbine. 1:25 Scale Model of Data Centre for International Bank A large complex model representing the Data Centre systems for an international bank. 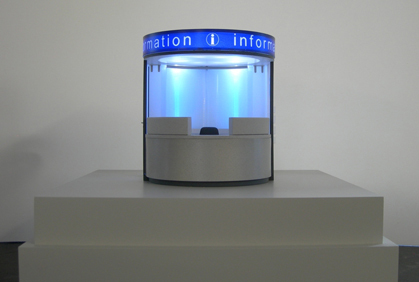 The aim of this fully interactive model was to provide a visual demonstration of the complex networks involved in data handling and storage for the bank’s various services. For more details visit “Recent Projects” and select November 2007. 1:75 Scale Seaside Tower At 1:25 scale, this was quite a large and detailed model of what, on the face of it, is an uninspiring subject. 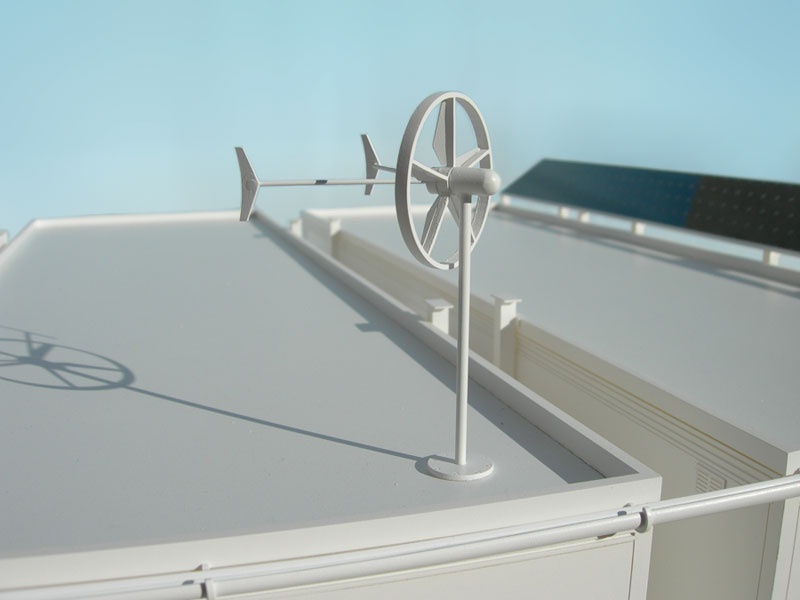 However the model was actually commissioned to illustrate a proposed "environmentally friendly" site office featuring solar panels, rainwater collection, and a wind turbine.